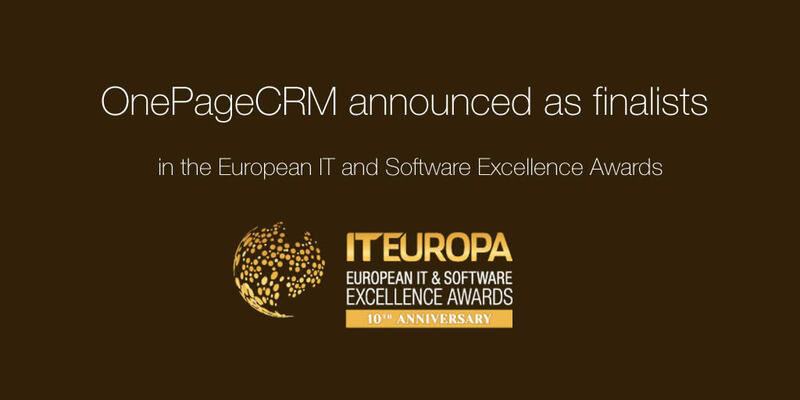 OnePageCRM is delighted to announce they have been shortlisted as finalists in two categories in the European IT and Software Excellence Awards 2018; SaaS SMB Solution of the Year and Service Provider of the Year. The European IT & Software Excellence Awards 2018, Europe’s most prestigious IT Channel awards recognize companies who deliver innovative solutions for their customers. These awards bring together leading ISVs, Solution Providers, and Systems Integrators from across Europe to demonstrate their ability to provide industry-leading IT solutions. 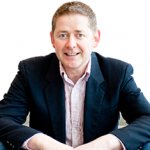 Michael FitzGerald, Founder, and CEO of OnePageCRM is thrilled with the recognition. A panel of judges have the tough decision on deciding which companies makes a positive difference to the end customer. To be nominated as a finalist in the SaaS SMB Solution of the Year category, it represents that each business fully understands their customers requirements and delivers solutions to exceed their expectations. The second award category; Service Provider of the Year, is designed to recognize a businesses excellence in channel support. This is an area where we as a team in OnePageCRM believe strongly about as our main focus is on delivering a remarkable user experience and world-class customer support. 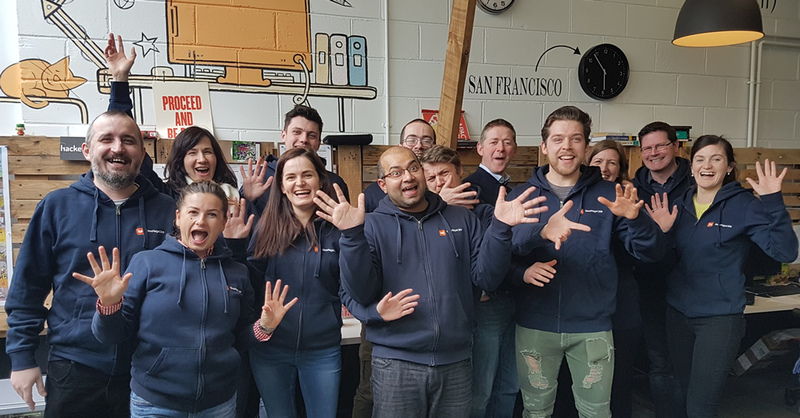 OnePageCRM launched in 2010 as a minimal viable product and has grown from strength to strength with over 10,000 paying customers and 25 employees today. This year marks the European IT and Software Excellence Awards 10th anniversary, and with more than 400 entries, a total of 43 solution providers, 36 ISVs and 57 suppliers from 29 countries made the final. An Awards Dinner will be hosted at the Royal Garden Hotel, London on 19 April 2018 where the lucky winners will be announced! Stay tuned! Keep in touch with us by tweeting us @OnePageCRM, comment below or contact me at evelynod@onepagecrm.com.